Please notice that all images on this page are protected by international copyright laws. They must not be used for any purpose, commercial or non-commercial, without prior written permission by the owner. 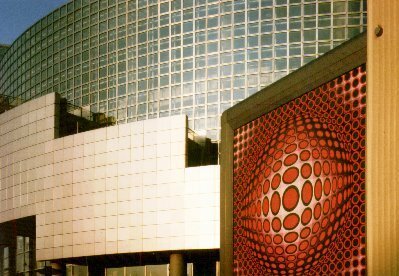 The new opera in Paris with a Vasarely graphic in the foreground. Taken in july 1989 with a Minolta 7000, AF 1.7/50mm lens on Kodak Ektachrome 100 film. The perspective was corrected by means of digital imaging. 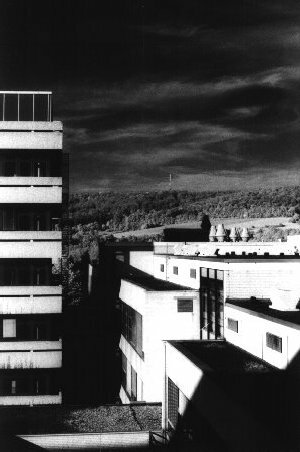 Institut für Anorganische Chemie of the Universität Göttingen, Germany. Taken in october 1997 using Minolta 9000, 50mm lens and red filter on Konica infrared film. 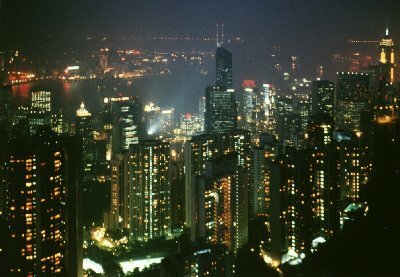 View on Hong Kong taken from Sha Tin, Hong Kong Island in september 1996. Rollei 35s on Elite 2 film. 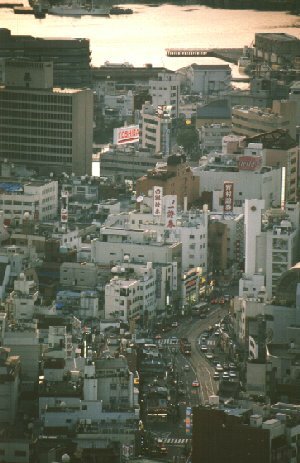 The city of Nagasaki, Japan in september 1991, with Minolta 9000, Sigma 2.8-3.5 75-200mm lens on Ektar 100 film. 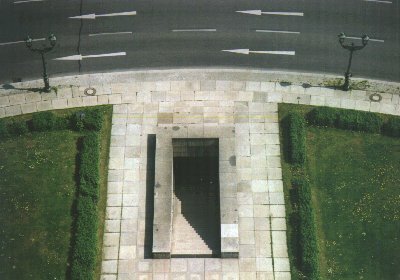 View from the Siegessäule in Berlin, Germany. Taken in may 1998 with Ricoh XR-P and Sigma 3.5-4.5/35-135mm zoom lens on Kodak Gold 200. 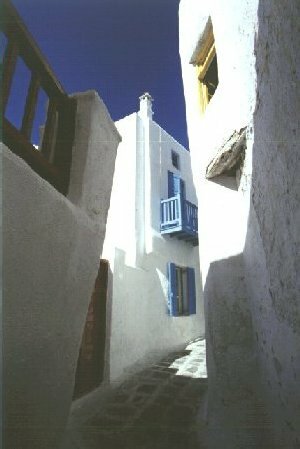 Greek island Mykonos, october 1998. Contax 137 MA, Tokina 3.5/17mm lens on Kodak Elite Chrome 100 slide film. 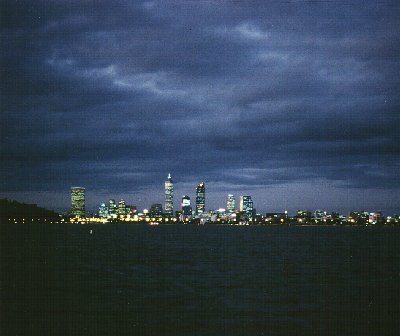 The skyline of Perth, Western Australia taken from Swan River. Contax RTS, Carl Zeiss Planar 1.4/50mm on Kodak EliteII 100 film in october 1996.